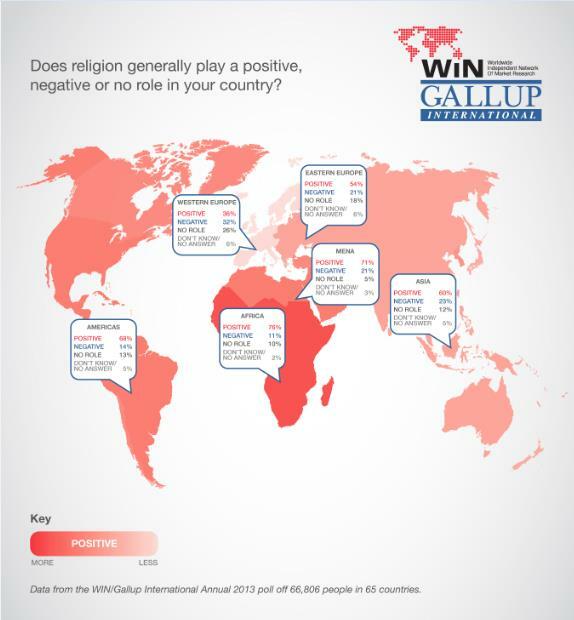 A global poll by WIN Gallup International among 66,806 people has revealed that over half of the world’s residents believe religion plays a positive role in their country. Western Europe, in contrast, records significantly lower positivity than other regions. On a global scale, the relationship between level education and level of positivity is inverse, with those educated to Master or PhD level 20% below the global net positivity figure. The story in Ireland is more reflective of the Western European mind state, despite the nation’s net positive figure being above that Western Europe. Just under half (46%) of Irish respondents believe religion plays a positive role in the country. On the other hand, over a third of those surveyed feel that religion has a negative impact within Ireland; this is 14% above the Global negativity figure. Higher than this again is the negativity score of those with no religious disposition, of whom 70% deem religion effects Ireland negatively. 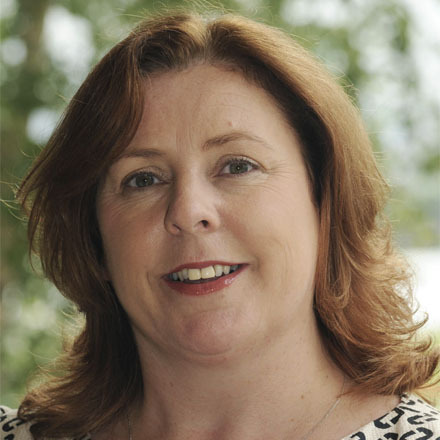 If you have any queries please contact Sinead Mooney, Deputy Managing Director at RED C Research ph:01-8186316.